Can You Sue a Co-Worker for Negligence Following an On-the-Job Injury? 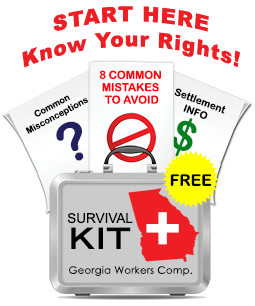 The Georgia Supreme Court recently issued a very interesting decision about your right to sue a fellow employee for pain and suffering damages when the negligent act occurred at work and you are otherwise covered by workers compensation. In the case of Smith v. Ellis, decided by the Georgia Supreme Court in September, 2012, both Ellis and Smith were employed by the Knight Group, a company that builds homes. On the morning of February 13, 2009, Ellis came by Smith’s house to borrow a tool for personal use. Smith was working at a new subdivision that was mostly empty land and Ellis decided to tag along because Ellis wanted to shoot his new shotgun in one of the empty fields. Smith had finished his work for the day and was packing up his tools when Ellis accidently shot him while trying to clear a jam in the shotgun. Smith thereafter filed a workers’ compensation claim against the Knight Group and a negligence action for damages against Ellis. The Knight Group denied Smith’s claim and he eventually settled in a no liability stipulation. A no liability stipulation means that the employer Knight Group denied that Smith was injured in the course of his employment but agreed to pay him a lump sum to close the file. I am frequently called upon by my clients to explain the difference between settling their workers’ comp cases and agreeing to a “no-liability” stipulation. If the insurance company has paid benefits, paid for medical care and accepted the on-the-job injury claim as compensible, then the only type of settlement permitted is a standard settlement. On the other hand, if the insurance company has denied (controverted) the claim and not paid benefits, then the case can be settled with either a standard settlement or with a no-liability stipulation. In a no-liability stipulation, the parties agree to disagree. The employer/insurer denies that a compensible accident happened but agrees to pay a lump sum to settle the worker’s outstanding claim for benefits. Often, my client (the injured worker has a hard) with the concept of a no-liability stipulation. Frequently, the language of the stipulation contains assertions by the employer that the accident did not happen at all. Even if a substantial sum of money is involved, many injured workers have a hard time signing off on a document that essentially says that they are lying. In my role as the claimant’s lawyer, my focus is on getting my clients enough money and sufficient medical care so that my client can live his life with dignity. Sometimes, as a matter of business, a no-liability stipulation is the best alternative. A few weeks ago, I settled a case with a no-liability stipulation and I believe that my client is better off with this solution than if we had taken the case to the State Board of Workers’ Compensation and won. 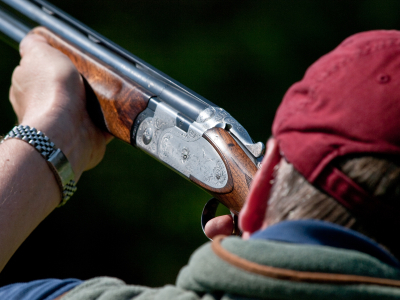 At the time of his accident, my client was a 30 year old man who worked for a poultry processing plant. He was told by his supervisor to clean out a large machine that made filets out of chicken breasts. This machine was a large tube (large enough for a man to fit inside) with sharp blades rotating alongside a conveyor belt that carried the chicken breasts. My client crawled onto the conveyor belt and started to clean the blades when someone turned the machine on. He tried to pull a manual cut-off rope but the manual cut off did not work. He tried to yell for a co-worker, but the person on watch did not speak English. My client was cut all through his midsection by the sharp blades and suffered a crushed pelvis. Although there were numerous witnesses to this accident, the insurance company denied coverage on the grounds that my client was engaged in “wilful misconduct.” The insurance company’s adjustor advised me that my client’s supervisor would testify that my client failed to use a magnetic card to turn off the machine himself. My client and several of his co-workers advised me that no one had ever trained them in the use of the magnetic cards and that the employees were told to sign forms verifying their training – despite the absence of actual training – if they wanted to get paid. So, every month, the employees of this poultry plant signed forms verifying their completion of training courses when no such courses were ever given. As you might imagine, my client was extremely hurt and upset that his employer was trying to put the blame on him for this horrible accident. His problem, however was that he needed immediate medical care if he hoped to recovery. I recognized that part of what was motivating the company was a fear of huge liability – not just this workers’ compensation case, but perhaps an OSHA investigation and even criminal negligence charges. I suggested to the adjustor that rather than firing my client, they keep him on as an employee and cover the cost of his group medical insurance. I pointed out that if they totally cut him off and we ended up winning at a hearing 6 months down the road, they would have a much more disabled person requiring much more intensive and expensive rehabilitation. The adjustor agreed and the company allowed my client to continue to receive medical care. Six months later, when we went to a mediation, my client was recovering from his injuries and was ready to move on. Our “no-liability” stipulation included $80,000 in cash plus the insurance company agreed to reimburse the health insurance carrier for all medical costs. In addition, the employer agreed to provide COBRA medical coverage to my client at a discounted rate of less than $100 per month. Was my client made totally whole? No, of course not. His injuries are pemanent and he will never be able to perform certain types of physical activities. He also carries with him some resentment against his former employer for trying to shift the blame for his accident on to him. However, in this case, the no-liability stip solution made sense for everyone. My client got the medical treatment he needed and avoided the stress of extended litigation. He also got a lump sum of money that will help him cover his bills until his recovery is more complete. Had we taken this case to a hearing we might have won – but then again, the employer was prepared to present testimony and written documentation supporting its position. After laying out the possiblities, my client decided that the no-liability stipulation was the way to go and I agree with his decision. What do you think?